Product prices and availability are accurate as of 2019-04-24 04:16:23 UTC and are subject to change. Any price and availability information displayed on http://www.amazon.co.uk/ at the time of purchase will apply to the purchase of this product. 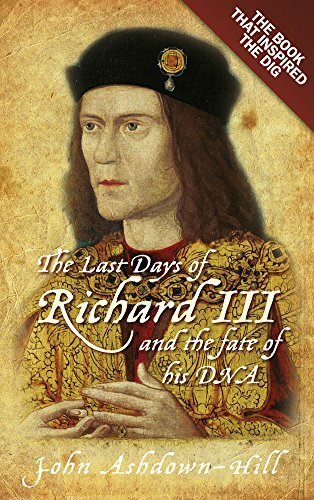 The Last Days of Richard III contains a new and uniquely detailed exploration of Richard's last 150 days. 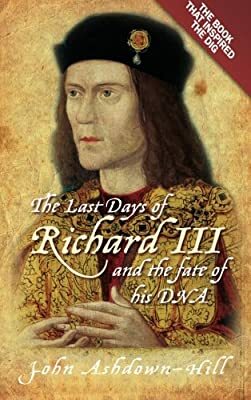 By deliberately avoiding the hindsight knowledge that he will lose the Battle of Bosworth Field, we discover a new Richard: no passive victim, awaiting defeat and death, but a king actively pursuing his own agenda. 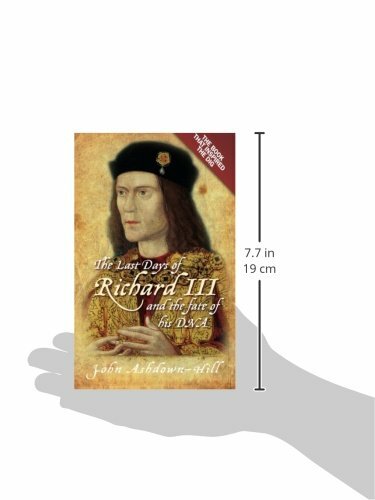 It also re-examines the aftermath of Bosworth: the treatment of Richard's body; his burial; and the construction of his tomb., And there is the fascinating story of why, and how, Richard III's family tree was traced until a relative was found, alive and well, in Canada. Now, with the discovery of Richard's skeleton at the Greyfrairs Priory in Leicester, England, John Ashdown-Hill explains how his book inspired the dig and completes Richard III's fascinating story, giving details of how Richard died, and how the DNA link to a living relative of the king allowed the royal body to be identified.